Are you a night owl who loves to be up all hours, then wake up late in the morning? 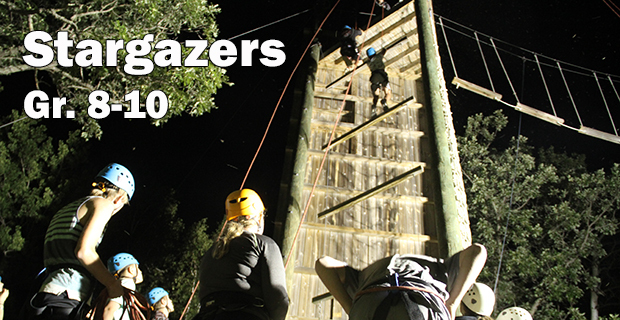 Then Stargazers is the week of camp for you! In addition to all of the great regular Camp Metigoshe programming, you will see camp in a whole new way. You’ll learn about the moon, stars and constellations and the enormous size of God’s Creation. Worship and Bible study at 2 in the morning, popcorn and a movie, night games and night hikes through the woods are all a part of this week of camp. Come experience camp in a whole new “light”–the dark night sky of Stargazers!